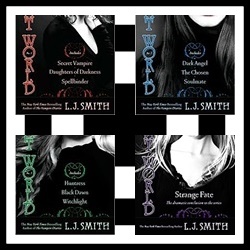 The Night World Series is a young adult fantasy series by author L.J. Smith. The Night World is a society that lives alongside humans without their knowledge. There are few but very strict rules for those who belong to the Night World. For those who break the rules, death is certain. But when fate steps in, that's a small consequence compared to betraying one's heart and soul. The Night World series is a really great read. I read it fairly quickly, it isn't a difficult read but it was totally addicting. The action is great, the soulmate connection is electric, and the characters are all very relatable. They have a depth to them that many books today are lacking. Each story is a short, fast paced but if you get the omnibus version they come three stories to a book. They're very engrossing and I found them all impossible to down once I really got started reading. In fact, I've read them all more than once! Under orders to bring back his sisters at all costs, Ash finds himself in the small, rural town of Briar Creek, Oregon, where he finds them hiding out. This is also where he meets the fiery tempered Mary-Lynnette, who instantly takes a disliking to him. Ash falls head over heels for the little spitfire and has to find a way to convince her he can atone for his sins and earn her love. Thea Harmon and her cousin Blaise are witch cousins. The two are close as sisters but couldn't be more different. Thea belongs to the Circle Twilight, for the white (or good) witches, and Blaise belongs to the Circle Midnight, designated for witches a little darker at heart. Thea and Blaise get into a magic duel over a boy that Blaise doesn't think is good enough for Thea, but Thea coincidently, has fallen in love with. Gillian Lennox never meant to die. Nor did she expect a drop-dead-gorgeous Angel to intercept her soul on it's way to the after-life and return it to her body. But Angel starts requesting things that turn out to be of sinister consequences, and Gillian's not so sure anymore that he is what he claims to be. She has to figure out how to send him back where he belongs before he anyone else ends up hurt, or worse... dead. When she was just five years old, Rashel Jordan witnessed her mother's death at the hands of a vampire. Now seventeen, she's grown up a vampire hunter, and she stalks the lonely back alleys of Boston seeking revenge on those responsible for killing her mother. But when she rescues Daphne Childs from certain death, she's suddenly swept into the Night World Slave Trade, gateway to the vampires' secret enclave. Here Quinn is the gatekeeper... dark, dangerous, irresistible. But when she looks into his eyes, she sees more than she ever imagined... he's her soulmate. A vampire whose entire race she has vowed to destroy. Hannah Snow's life was perfect... until the notes started appearing. Notes in her own handwriting, warning her of the danger that was coming. Dead Before Seventeen. The psychiatrist was supposed to help. But what came out of the age regressions were memories of another time, another life. And of a stranger who tore her world apart...a vampire who killed a village in his rage. Until, in the eyes of a dying human girl, he recognized his soulmate. Now he's back as Thierry, the Lord of the Night World -- and nothing in heaven or hell will keep him from his soulmate again. But if her destiny is death, is Thierry's love enough to protect her? Jez Redfern is unique. 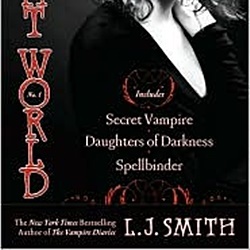 She's a vampire hunter who is half human. She hunts vampires for Circle Daybreak, protecting humans from the Night World. But when she's sent on a search for one of the Wild Powers, Jez rejoins her old gang. They all want her back -- especially Morgead. 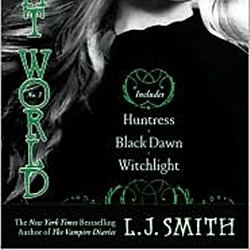 A gorgeous, green-eyed vampire and Jez's former second-in-command. She can't allow herself to taste blood again... it would be too easy to fall into the life she once lived. And if Morgead ever found out she was half human, he'd probably kill her. He hates humans. But Jez can't seem to help herself. With danger and temptation around, she finds herself irresistibly drawn to him- her soulmate. First he put her in a dungeon. Then he realized they were soulmates. Now he wants to make her a vampire princess. Maggie Neely is a short, spunky sixteen-year-old with auburn hair and an iron will. When her brother turns up missing, she’s determined to find him. But it leads her into the heart of the Night World, a kingdom where no outsider has stepped in five hundred years. The kingdom is ruled by the vampire prince Delos... who keeps all humans as slaves. When he falls in love with Maggie and frees her Maggie can hardly resist him. Keller is a black panther. At least when she’s not being a tough, no-nonsense seventeen-year-old girl. She’s a shapeshifter who grew up on the streets and will do whatever it takes to survive. But when Circle Daybreak hires her to protect a new Wild Power, Keller meets her match. Iliana Harman is blond, a little bit ditzy, has been raised as a human, and her only concerns are clothes, boys, and parties. Can this clueless bit of fluff really be the legendary Witch Child, one of the four teenagers who can fend off the end of the world? Keller and the team must persuade Iliana to take her destiny seriously, but Iliana simply refuses to believe any of it. And it doesn't help that she's been promised to lord Galen, the gorgeous prince of the shapeshifters. Because he and Keller are falling in love. But it's a love that can potentially destroy everything. It doesn't matter that he's Keller's soulmate. She knows she has to give him up – but her heart won’t listen. Meanwhile, the Night World is closing in, to kill all three of them. If the rest of the Night World series is anything to judge by, Strange Fate is going to be awesome if it ever gets published! Though all we have to go on is a brief summary that gives us absolutely nothing about the true depth of the book, we can surmise from what's been released so far that many of our favorite characters may not survive the upcoming battle. Even more, the main character, Sara Strange is connected by not one, but two silver cords to the two hottest boys in school, Mal Harman and Kierlan Drache. As yet, we know nothing about either of them, or Sarah Strange for that matter. Except for the fact that she's plagued with strange dreams that predict the fate of the human race. What details do we get from the official book summary? Only that Night Worlders alone can prevent the human race from becoming slaves and vampires and dragons from ruling the world. Of course from all of this we can be certain that the Apocalypse has arrived, and there's only one way to stop the human world from being destroyed for all eternity. As epic as this battle will surely be I'm a little hesitant going in because I don't want to lose any of my favorite characters. 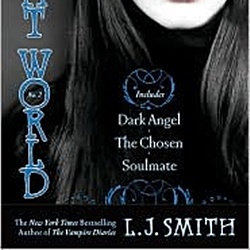 I've read the first three volumes of the Night World series a couple of times and have gotten rather attached to some of them. The official summary says that six will go on a mission to save the world and only two will come back. Who they are and the fate of everyone else remains to be seen.